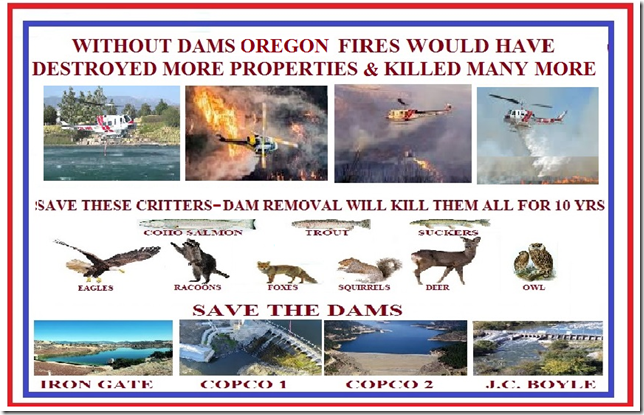 * SCWUA/Siskyou County Water Users Association Fund Raiser Dinner: JOIN THE BATTLE TO SAVE THE DAMS; IT'S NOT A DONE DEAL, May 4th, 2019, Yreka, speakers Attorney James Buchal, CA U.S. Congressman Doug LaMalfa, Siskiyou County Supervisor Brandon Criss, Former Klamath County Commissioner Tom Mallams, Jackson County Commissioner Colleen Roberts. CFBF Legislative Review, posted to KBC 4/24/19...ag employee housing, pot, marketing, hemp, pesticides, ESA-protected Tricolored Blackbirds. Number of small farms is growing in Oregon, Argus Observer, posted to KBC 4/24/19. "...The amount of farmland in Oregon had dropped by about 340,000 acres over the five-year period... labor is the top cost on farm, having increased 21 percent since 2012..."
Lawsuit renews attack on grazing in Oregon national forest, Capital Press, posted to KBC 4/24/19. KWUA files lawsuit against Reclamation, H&N 4/12/19. "Klamath Water Users Association, which had announced its intent to file suit last week, did so against Bureau of Reclamation on Thursday due to limitations to water supply for the Klamath Project outlined in the 2019 biological opinions." Water for irrigators: KWUA announces Project delivery, H&N, posted to KBC 4/13/19. "Bureau of Reclamation’s Klamath Basin Area Office will deliver at least 322,000 acre feet of water — or a 92% allocation — rather than a full 350,000 from Upper Klamath Lake to the Klamath Project this summer and fall...Longtime legal counsel for KWUA Paul Simmons...was selected as executive director of the association..." KBC NOTE: an irrigator contacted and told us: "It is really less than honest to say the Project is getting 92% of their deliveries this year. If you go back to their original allotment, this year they are only actually getting around 69. All of our water, both upper and lower basin, continues to be "re-allocated." California Farm Bureau Federation Friday Legislative Review, posted to KBC 4/13/19. Klamath Tribes expand crime victim support with $400,000 grant, posted to KBC H&N 4/13/19. "Klamath Tribes Social Services Director Marvin Garcia said they currently employ one victim advocate who handles up to 100 cases per month...More than 80 percent of Native American women across the country have experienced violence, according to the Indian Law Resource Center, and more than 50 percent have experienced sexual violence..."
California fire risk shows urgent need for prevention work, Chico Enterprise-Record, posted to KBC 4/13/19. "Gov. Gavin Newsom declared a state of emergency on wildfires, designed to expedite forest-thinning projects and other programs..Cal Fire and the state Board of Forestry estimate 23 million acres in the state’s responsibility area could benefit from fuel reduction. And those treatments aren’t one-time efforts: they must be repeated every few years to be effective...Among the biggest complications in forest management are California’s strict environmental regulations...The reviews can take years." Sprague River rising to 8.4 feet, on flood watch, H&N, posted to KBC 4/13/19. Record number of wolves in Oregon, H&N, posted to KBC 4/13/19. "...known wolves in Oregon at the end of 2018 was 137, a 10% increase over the previous year...Sixteen wolf packs, defined as four or more wolves traveling together in winter, were documented during the Oregon count, up from 12 packs in 2017..."
KID, KWUA sue agencies over water supply followed by Fears of Flooding, H&N 4/8/19. Dam removal a far cry from a done deal, by The Siskiyou County Natural Resources Department for H&N, posted to KBC 4/8/19. “Dam removal on the Klamath River is a natural-resource-management decision that PacifiCorp, as a regulated utility, is unwilling to undertake because of the substantial risks and uncertain benefits,” said PacifiCorp in comments to the California State Water Resources Control Board (Water Board) on Feb. 26...One major concern is whether KRRC will be able to afford the cost of dam removal, or that it will truly shoulder the significant liabilities facing PacifiCorp and its customers if the dams come out. Not only do the dams provide flood control, they also hold at least 20 million cubic yards of polluted settlement behind them..."
KWUA Annual Meeting – Open to The Public April 8th At Reames Golf Course April 8, 2019, 5:30 social hour, 6:30 meeting. RSVP www.kwua.org or call 541 883 6100. Klamath Dams, water quality, temperature and 20 million yards of toxic sediment, by engineer Don Mausshardt for H&N, posted to KBC 4/4/19. "...In the late 1990s and early 2000, environmental organizations have taken several thousand of acres of farmland adjacent to the upper end of Klamath Lake and turned them in to marshlands. This can also be contributing to the warming of the waters in the Lake...Could the data presented show that the creation of new marshlands has had just the opposite effect and is now really detrimental to the sucker fish?...the real question of the 20 million cubic yards of “toxic” sediment behind the dams as reported in the Herald and News. There was no explanation offered by the representative on how that would be managed...the silence was deafening..."
Planning for water uncertainties, H&N, posted to KBC 4/4/19. "Despite 121 percent of median snowpack, 101 percent of median precipitation in the Klamath Basin and a 93 percent water allocation for Klamath Project irrigators, uncertainties for some farmers in the Basin remain...In 2019, I plan on planting some permanent crops,” Paul said during the meeting. “With the new biological opinion, how likely am I going to be able to irrigate those crops in the future years?...If one out of three years we won’t be irrigating, I can’t make that work...2019 might look good, but with this new biological opinion, you have no certainty..."
Commissioners, KRRC address dam removal concerns, H&N, posted to KBC 4/4/19. "Klamath County Commissioners entered into a Memorandum of Understanding with the Klamath River Renewal Corporation...KRRC is also talking with commissioners in Siskiyou County, California, where three of the four dams proposed for removal are located. Cox said KRRC had not yet entered into an MOU with Siskiyou County, but hoped to soon..."
Klamath Basin Attack Planned and Being Carried Out? by Rudy Hiley, Tulelake, 4/4/19. "Hopefully when he worked toward dam removal with the Canadian concern AECON Corporation he was unaware that they were being absorbed by the Chinese conglomerate known as CCCI, an arm of the Chinese government. Thank God that the Canadian government was awake enough to shoot that sale down over national security concerns. Paying one of our military adversaries to take our dams out would be unique indeed." Irrigation season begins for Klamath Project, followed by Reclamation transitions to modified water operation plan, H&N 4/4/19. "Snowpack as of Tuesday afternoon is up to about 129 percent of average for the Klamath Project, with precipitation resting at 98 percent. Nettleton told irrigators late last month they could anticipate a projected 93 percent allocation, pending the release of the official number, which should be released later this week." Judge Defends Obama Expansion Of Oregon National Monument, FM News 101 KXL, posted to KBC 4/4/19. "Murphy Co. and Murphy Timber Investments LLC brought one of three lawsuits against Obama’s expansion of Cascade-Siskiyou National Monument, arguing that part of the expanded area was reserved for timber production." Obama nearly doubled the monument’s size to more than 150 square miles. "Kristen Boyles, an attorney for Earthjustice which was one of the defendant-intervenors in the case, said she was grateful." KBC Note: George Soros is a multibillionaire whose goal is One World Order. His financial support goes to litigation (Earthjustice) for most of the NGOs /Non Governmental Agencies (environmental groups) at the secret KBRA negotiation table. Go HERE for our Who's Who Page. Wolves target Oregon rancher's animals again. Puppy makes 11th animal taken by Rogue Pack, Medford Mail Tribune, posted to KBC 4/4/19. Conference call on water April 12 in Klamath; OWRD to host OWRC conference call 3/28/19. "The OWRD will ask the commission to consider adoption of proposed rules that manage groundwater and surface water in the Upper Klamath Basin." 1 Corinthians 13:13. "So now faith, hope, and love abide, these three; but the greatest of these is love." Promising water outlook, but no promises, H&N 3/24/19. "The snowpack sits at 121 percent of median and Jeff Nettleton, manager of the Klamath Basin Area Office, projects a 325,000 acre feet or 93 percent of a normal water delivery for irrigators...'It is hard to see because you get 121 percent of average (snowpack), you would expect a full supply,” Johnson said. “Under the old ‘bi-op,’ you would have that. They’re just constantly chipping away at the allocation, and that’s what’s scary. The only thing it has going for it is a definitive allocation April 1 and, in theory, you can use it whenever you want to after April 1.' "
< Robert L. King obituary, H&N, posted to KBC 3/23/19. "...he was on the board of directors of the Bucket Brigade, doing all he could to help farmers keep their water rights..." KBC NOTE: He lived a full life of giving his all to his God, his family, community and country...an All American Christian and Patriot. Thank you Bob! It was an honor to know you. We will miss you. Rebuttal penned to KRRC guest editorial by Dave Meurer, by Rex Cozzalio Guest opinion for H&N, posted to KBC 3/23/19. "...The reason Mr. Meurer feels it would be “unique” that “dam removal might mean more water for farmers instead of less” is because it doesn’t. There is nothing to support that unaccountable assertion, and much which supports the opposite....KRRC members who have openly said that Keno will be their next step...Do not believe what they imply. FERC has not yet signed off on this debacle." * Instructions for writing to FERC regarding Klamath Dam removal It's not too late to write to FERC. Another threat to Oregon's timber industry, Capital Press, posted to KBC 3/23/19. 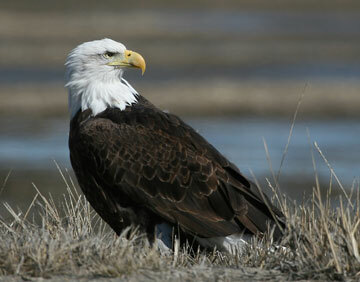 Please take time to read through the Draft Klamath Project Environmental Assessment. It details Project irrigators' new lower cap on surface water, additional groundwater needed to help but not make up for the decrease in surface water allowed, more fallowed land, more well pumping expense, worse economy and unemployment. Bird predation of baby suckers is one reason for keeping more water in lakes, but there have been no thorough studies of the bird predation caused by the 3 manmade islands to entice fish-eating terns to come into the Klamath Basin...terns that ate 20 million smolts annually in the Columbia Basin. Modoc War apology bill proposed, H&N 3/21/19. ITTSD Motion for leave to File Amicus Brief, filed by Lawrence A. Kogan 3/19/19, regarding Klamath Dam Removal. ITSSD Amicus Curiae Brief, filed by Lawrence A Kogan In Re Siskiyou County Water Users Association, Petitioner on Petition for Writ of Mandamus 3/19/19: "...The States, by assisting USG to shift jurisdiction over (Klamath) dam removal from EPA to DOI and FERC, effectively freed DOI from conducting the rigorous EPA-required scientific assessment of the significant risks to human health and welfare dam removal would trigger upon release of decades of contaminants accumulated in the dam reservoir bottoms..."
KRRC decision reversed, H&N, posted to KBC 3/17/19. In split vote, Klamath County OKs deal for dam removal, posted to KBC 3/17/19. Dam removal report sparks HOPE for Klamath Basin Ag, H&N by dam removal liason Dave Maurer, posted to KBC 3/17/19. Record February snowfall reduces drought concerns, H&N, posted to KBC 3/17/19. Swan Lake project should be for water storage, H&N letter by Tim Plass, posted 3/17/19. Name change likely to Tule Lake National Monument, H&N, posted to KBC 3/17/19. KBC NOTE: The Tule Lake Committee has already helped obtain more than 1300 acres for their current designation of World War II Valor in the Pacific National Monument, honoring the Japanese living in America who were relocated to the Tulelake Relocation facility for four years until WWII was over. For more than a decade they have continued to sue the Tulelake Airport, City of Tulelake and Modoc County to shut down our airport that services 40,000 square miles, so they could acquire that land also to tell their story. See our Tulelake vs Japanese Controversy Page. National News - Record-breaking migration is overwhelming border agencies, H&N 3/6/19. "More than 76,000 migrants crossed the U.S.-Mexico border last month, more than double the number from the same period last year." John 3:16 - "For God so loved the world that He gave his only son, that whoever believes in Him shall not perish but shall have eternal life." PLEASE ATTEND, or COMMENT before March 12!!! Hearing Scheduled on Bill That Would Ban Forest Practices on Over a Million Acres in Oregon, OFS 3/8/19: "On Tuesday, March 12 at 1:00 PM, the House Committee on Energy & Environment will hold a public hearing on HB 2656. HB 2656 is probably the most threatening bill to Oregon’s managed forests by banning harvest, road building, and the use of pesticides and fertilizers in forestland that supplies drinking water for public sources. Thus, locking up over a million of acres..."
California Farm Bureau Federation Legislative Review 3/8/19: emission reporting mandates, climate change, forests, construction mandates in high fire zones, wildlife. U.S. plans to lift protections for gray wolves, Capital Press, posted to KBC 3/9/19. California judge upholds wolf protection, H&N 3/1/19. not just Klamath Basin ! * OWRD Comments Due on UK well use BY 3/4/19. * Commentary on OWRD / Oregon Water Resources Department well water mandates by Joan Sees, Beatty Oregon, posted to KBC 3/2/19 "...OWRD is again picking the “science” that will give it the outcome that it wants.The proposed interim rules are not really protecting senior water rights but giving them all the water in the basin and putting the Upper Klamath Basin irrigators out of business..."
* Commentary on OWRD Mandates : Great news, or just another 'Trojan horse' for Oregon? by TOM MALLAMS, former Klamath County Commissioner and Upper Klamath Basin irrigator for 40 years, for the Capital Press posted to KBC 3/2/19: "...Many suits have been filed by well owners in the Klamath Basin, challenging OWRD’s overreach. OWRD already spent their current litigation budget of $835,628. They then were given an additional $1,352,526 that will last until June, 2019...surface water users were encouraged by OWRD to drill a well, and then told “your water will be safe...With OWRD’S endorsement of Klamath dam removal, we predicted years ago that this movement would expand to the Columbia and Snake River system...We now predict that OWRD’s current attempt to claim, through computer modeling, that ground water and surface water are connected, will be expanded in other areas of the State..."
CFBF Legislative Review 3/1/19: Air quality, pot, climate change, zero greenhouse gas emissions, environmental regs, hemp, food, rural health and safety, drinking water fund, groundwater recharge, wildlife trapping, wildlife, ESA accidental take. OWRD Comments Due on UK well use 3/4/19. Merkley to hold town hall in Klamath, Lake counties Saturday, H&N, posted to KBC 2/22/19. "The Klamath County Town Hall will be at 11 a.m. Saturday at Oregon Institute of Technology..."
The state is making up its own water rules, H&N by Jerry Jones, Chiloquin, posted to KBC 2/22/19. "Historical documents show Oregon Department of Water Resources (ODWR) has engaged in water theft from the historical ranches of the Upper Klamath Basin..."
Amidst Uncertainty, Klamath Project farmers increase water delivery to Lower Klamath National Wildlife Refuge, KWUA press release. California Farm Bureau Federation Legislative Review 2/22/19. 51 voted "Yes, a direct benefit,"
39 voted "Yes, but indirectly,"
35 voted "No, I will not benefit,"
163 voted "I see no benefit at all,"
Draft groundwater rules: Great news or just another Trojan Horse? Guest opinion by Tom Mallams, Beatty irrigator and former Klamath County Commissioner. COMMENTS DUE 3/4/19, hearings Feb 21 & 26. "Oregon Water Resources Department, (OWRD), admitted that this wording means the entire Klamath Basin, not just the Upper Klamath Basin. This wording will put all wells in the entire Klamath Basin at risk (of being shut off) as well as other areas in Oregon." California Farm Bureau Federation Legislative Review posted to KBC 2/16/19. Governor Newsom's intentions, budget and appointments, truck emission mandates, rural crime, utilities, $51.3million for safe drinking water, wildfire bills. Oregon rivers, lands would gain protection under bill passed by U.S. Senate, H&N, posted to KBC 2/16/19. "...according to Sen. Ron Wyden, D-Oregon, the measure would provide protection for about 250 miles of rivers and streams in Oregon. That would give the state more wild and scenic designations than any other state besides Alaska..."
President Donald Trump's Border Security FACT SHEET, and Presidential Proclamation on Declaring a National Emergency Concerning the Southern Border of the United States posted 2/16/19. Oregon lawmakers debate multiple gun bills, H&N, posted to KBC 2/16/19. "It would limit ammunition purchases to 20 rounds in a 30-day period and prohibit firearm magazines that can hold more than five rounds....."
Global warming myth debunked: humans have minimal impact on atmosphere's carbon dioxide and climate, posted to KBC 2/16/19. Psalms 139:13-14 - "For you created my inmost being; you knit me together in my mother’s womb. 14 I praise you because I am fearfully and wonderfully made; your works are wonderful, I know that full well." Both sides represented at Klamath Dams removal meeting in Yreka, Siskiyou Daily News, posted to KBC 2/10/19. KBC NOTE: An attendee called to inform us that most dam removal supporters were tribes from downriver from where another water board meeting will be held. Also, no meetings will be held in Klamath Basin. California adds protections for Klamath spring salmon; Klamath spring chinook a candidate for CESA listing, H&N, posted to KBC 2/9/19. "The decision was in response to a petition filed last year by the Karuk Tribe and the Salmon River Restoration Council." KBC Note: The Karuk Tribe has stated that Klamath irrigators are "the enemy," they want to get "rid of all the farmers," and after the dams come out they will target "Keno Dam." Response to the KRRC (Klamath Dam removal corp) commentary's 'corrections' by Rex Cozzalio, followed by KRRC's 'corrections.' H&N, posted to KBC 2/10/19. "At a recent meeting when questioned what they would do if the KRRC had insufficient money, an annoyed Mr. Bransom stated ‘no matter what else happens, KRRC will blow the dams’." ..."Any claims of ‘eventual’ benefit come with no historically supported assurance, particularly true coming from a shell corporation dissolving after acknowledged irreversible regional devastation. Holding themselves harmless...FERC...(called) just last week for the KRRC to produce proof of as yet non-existent insurance coverage..."
Klamath Dam Destruction EIR, Siskiyou Daily News, Liz Writes Life Column, posted to KBC 2/3/19. Liz, column writer for Siskiyou Daily News, addresses State Water Resources Control Board regarding corrections and draft Environmental Impact Report concerning potential Klamath Dam destruction. Herald and News Poll: Will you benefit from Klamath dam Destruction? COMMENTS DUE 3/4/19, 4 business days after the Klamath Falls hearing. Water talks resume Feb. 12 in Medford, H&N 2/3/19. “ 'We have an imbalance in the Basin of needs and resources,' Mikkelsen said." KBC Note: this repeats government 2001 water shutoff rhetoric, which screamed to the farmers that the 'best available science' says there's 'not enough water to go around.' After the shutoff, bankruptcies, suicides, heart attacks, and auctions, the National Academy of Science stated the shutoff was "unjustified." Before the Klamath Project was built, there were up to 30 feet of water where our farms are now. It was a navigable lake. That's why on our deeds, signed by our US President, we were allotted 2+ acre feet of water for our crops, and the vast amount of runoff we pump uphill at our expense, out of our closed basin and into the Klamath River. < The river often went dry in the fall before the Project was built. CFBF Friday Legislative Review, posted to KBC 2/3/19: biotechnology, Governer Newsom's proposed 2019 spending, bill to eliminate the cannabis cultivation tax and reduce the excise tax rate on commercial cannabis, proposed indoor heat illness prevention standard, land use. Siskiyou County Water Users comments on "Gene research upends Klamath-Trinity Chinook history; ‘Run time gene’ rewrites narrative of spring vs fall runs", by Philip Santos, Eureka Times Standard, posted to KBC 2/3/19. Comments follow by SCWUA President Richard Marshall and member Rex Cozzalio. Hoopa Valley Tribe wins lawsuit against feds.The victory may expedite Klamath dam removal, Eureka Times-Standard, posted to KBC 2/3/19. When wolves come to town by Capital Press, posted to KBC 2/3/19. "Wolves are coming to town, but Colville isn’t Seattle. Anyone who loses their cats or dogs will be expected to accept it the way the ranchers are expected to accept it as part of the price of living in wolf habitat." 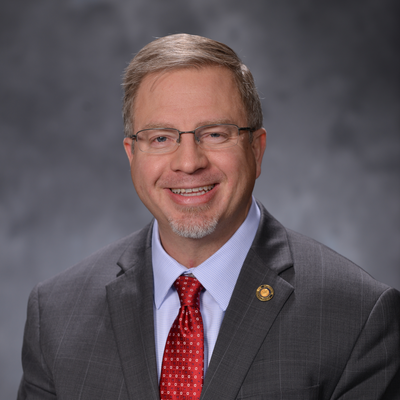 Gunsmoke and Mirrors, Oregon Senator Dennis Linthicum Newsletter, posted to KBC 2/3/19. Wildfire carbon emissions primary cause of possible climate doomsday scenario by Oregon Senator Dennis Linthicum, posted to KBC 1/27/19. "...four California wildfires...between 1992 and 2007, released carbon dioxide at levels 19 times greater than previously accepted scientific estimates. ...each acre of burned forest emitted greenhouse gases equal to the annual exhaust from 48 cars. ...combustion emissions could have been reduced from 46.2 tons per acre to 12 tons per acre if the density of trees had been reduced from 273 per acre to the more natural density of 60 per acre." Trump order expands logging on public land, H&N by Washington Post, posted to KBC 1/27/19. California Farm Bureau Federation Friday Legislative Review 1/27/19: CLIMATE CHANGE - California Air Resources Board adopted plan for San Joaquin Valley farmers: retiring tractors, reduce emissions by conservation, replace ag pumps with electrical pumps, create inspection and maintenance program. BOR names new Mid-Pacific Region director, Conant to oversee Klamath along with California and Nevada projects, H&N, posted to KBC 1/27/19. from 2018: Hoopa Valley Tribe warns of lawsuit over salmon fishing rules, focus on Klamath and Rogue fishery, Eureka Times Standard, posted to KBC 1/20/19: "The tribe argues that had the council used its original calculation method and allowed for 11 percent of Chinook salmon to be harvested, the number of coho salmon that would killed would be “in excess” of what’s allowed." Hoopa Tribe Went 10 Times Over Trinity River Salmon Catch Limit, WONews.com KBC 3/23/18. Hoopa's catch was "...1,660 fall salmon last year when its quota was only 163 fish, the Hoopa Tribe admitted it knowingly went over its limits and allowed tribal members to continue fishing, even though the fall salmon season for sport anglers was completely shut down last fall in the Klamath and Trinity rivers, and ocean seasons were severely curtailed as well to protect Klamath Basin salmon." For Main Archive Page go HERE. SCWUA/Siskyou County Water Users Association Fund Raiser Dinner: JOIN THE BATTLE TO SAVE THE DAMS; IT'S NOT A DONE DEAL, May 4th, 2019. H&N Poll: Will you benefit from Klamath dam Destruction? Before the Klamath Project was built, there were up to 30 feet of water where our farms are now. It was a navigable lake. That's why on our deeds, signed by US President, we were allotted 2+ acre feet of water for our crops, as all the runoff we pump uphill, at our expense, out of our closed basin and into the Klamath River? The river often went dry in the fall before the Project was built.